The salary is competitive, the training and education are relatively short, and the career outlook is excellent. The Bureau of Labor Statistics has projected dental and orthodontic assistant careers to grow by a whopping 31 percent over the next six years alone. If you are passionate about helping others and are interested in learning more about jaw alignment and the positioning of teeth, this could be the perfect health career for you. More than 80% of orthodontic assistants are female even though this is not a job requirement. A possible reason for this could be that many women have smaller hands which is essential when are working in tiny spaces such as someone’s mouth. Becoming an orthodontic assistant could be an excellent health career choice for many men as well. Most orthodontists today are so up to date and current in high technology that they are beginning to try new things and become more open-minded, no longer bending to stereotypes. This alone makes them enjoyable to work for in a fun and team-oriented work environment. 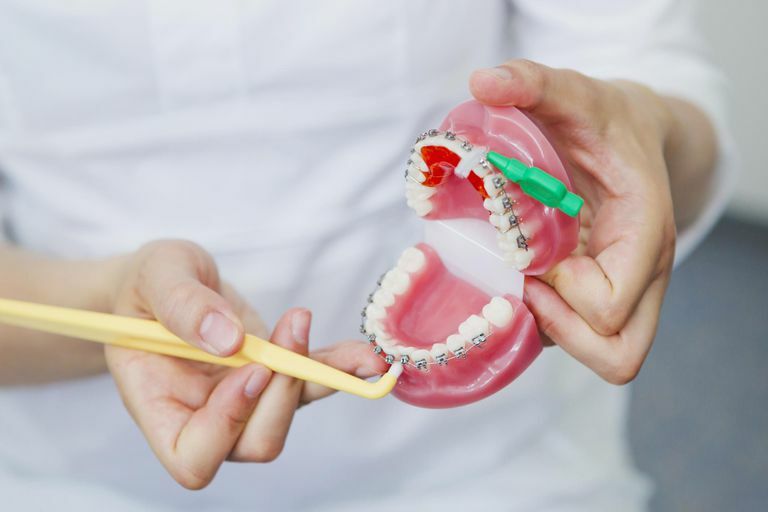 While good communication and listening skills are helpful, finger dexterity, good hand to eye coordination, attention to detail and the ability to work independently are skills that a good orthodontic assistant should possess as well. The duties and responsibilities of an orthodontic assistant often vary from state to state however, these are the most common tasks: taking impressions in patients' mouths, taking x-rays, changing out wires and brackets, writing up or typing up patient charts, giving oral hygiene instructions and sterilizing instruments and equipment. Many orthodontic assistants learn lab work as well. Pouring up and trimming patient molds are common practice by the assistants in an orthodontic office. The first step in becoming an orthodontic assistant is to find out the requirements of your state. Some states require a formal education and/or certificate program which can take one to two years to complete, depending upon the state. Other states accept on the job training through an apprenticeship program. Many orthodontists are willing to train employees who are truly passionate about learning this field. The salary of orthodontic assistants are very competitive and the hours are usually favorable as well. Most orthodontists only work an average of four days a week. This is an important factor to take into consideration regarding your salary requirements. Instead of a typical forty-hour work week, you might only work an average of thirty hours per week. According to the Bureau of Labor Statistics, the average salary for dental and orthodontic assistants is estimated to be $11.10 to $22.80 per hour. The field of orthodontics is growing at more than double the rate of all occupations in all industries. This increase leads to more job openings as well as long-term job security. Most orthodontists stay up to date with the latest technologies and techniques through continuing education. This means more training and experience for the assistants as well. If this is a health career that interests you, take the steps necessary to get started in the fun and rewarding health career of orthodontic assisting.